Jollyboys Camp is the sister lodge to Jollyboys Backpackers... it is a bit more mellow, a bit more laid back, but still with all the great service, facilities and up-to-date information that Jollyboys is famous for! 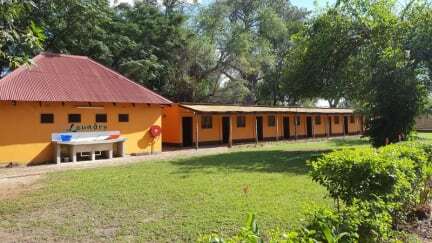 This is a great budget option for individual travellers, families, groups and those wanting an affordable, value-for-money option in the tourism capital of Zambia. Children are welcome and we have a large selection of board games and a beautiful swimming pool! Our big circular fire pit is lit nightly (weather permitting) and a great place to sit around with a drink and chat about your adventures! Markets, banks, grocery stores and all of the fun of Africa are a leisurely 10-15 minute walk away! The Victoria Falls are only 10kms away and we do a free shuttle every morning at 11am! We will do all in our power to make your stay in Livingstone as amazing as possible! Jollyboys has been catering for budget travelers since 1995 and is still owner run and operated. 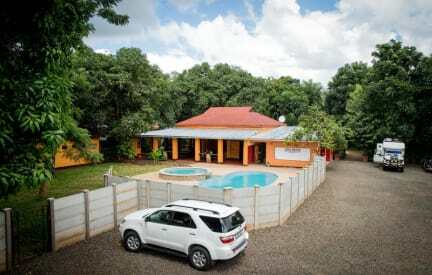 Our staff epitomize the extent of Zambian hospitality and our service is second to none. Try out our TRAVEL SHOP for great safari specials and all of the adrenaline that Livingstone has to offer! If you would like to relax, our garden has ample space and shade to relax with a good book. - Bar with DSTV for major sports events! We also have gorgeous shady gardens full of mango, banana, guava and lemon trees! Join us for a game of football at the local orphanage every Sunday @ 3pm! We collect clothes, blankets, food and books for the local orphanage so if your backpack is getting heavy we'll help you out by donating it! We have an amazing book swap (we're all bookworms here!) so bring a book, swap a book - we just ask for a K5 donation for the orphanage - good deal!